As you must be knowing by now, about the RISC-V related upcoming courses, I would like to brief you about the entire range that we plan to cover in these course. And. Just like my another online course, this one’s going to be another masterpiece. Me and my team are working really hard to get this to you ASAP. 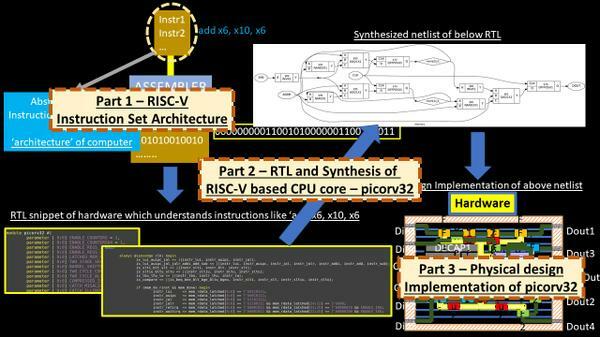 Going a level below, once you define an architecture, you would need a CPU core (to being with, an RTL) that implements and understands RISC-V instructions. 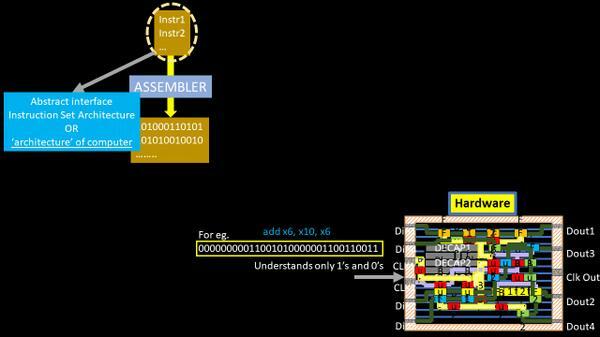 In simple terms, the hardware should process binary machine language of a RISC-V command like ‘add’ and store results in some register which will be further processed by an IO. 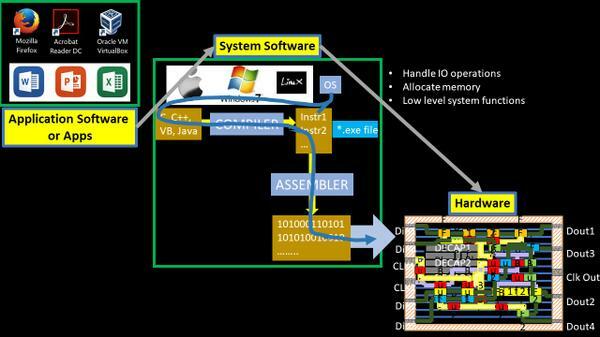 Sounds exciting – I mean, you will learn, understand and implement an entire processor – Isn’t that cool? Well, it is…I can’t wait to publish this courses for you. So stay tuned….